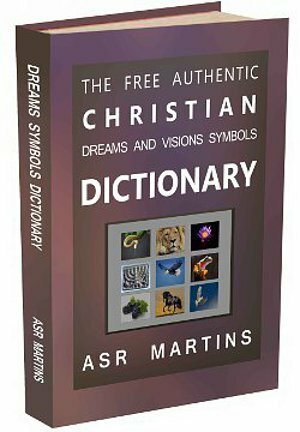 Can Satan Deceive Us Through Dreams And Visions? Dreams and visions and the interpretation of dreams and visions belong to God. No, the devil and his demons cannot give us dreams or visions. In this post I will explain why Satan cannot deceive us through dreams and visions. People who believe that Satan can give us dreams and visions do not know how to explain certain strange “phenomena” that they observe pertaining to this subject. This inability cause them to believe that dreams and visions can be created by evil forces. They also do not know how to deal with reports from people who claim that they had experienced dreams or visions from Satan. When these people give details of the dreams or the visions they had, it indeed appears that it did indeed originate from Satan or demons. The truth is however that Satan cannot give us dreams directly. He hasn’t got that power or ability. He however can cause us to dream as a natural result of fear and guilt that he causes in our lives. People who lives in faith, righteousness and obedience never experience dreams that was indirectly caused by evil forces. Because they do not fear anything they never have nightmares or negative dreams caused by emotional imbalances in their souls. Some people however are tempted into sin, disobedience and doubt in the love, the favor and the word of God. People who doubt in God’s word and his love often lives in fear. The more fear and the more sin in our lives, which causes feelings of guilt, regret and condemnation, the higher are the possibility that we will experience emotional turmoil in our lives. The more oppressed we are by Satan, the more feelings of fear, guilt and condemnation will build up in our souls. This will be dealt with by the natural emotional restoration process that God gave us which is called “emotional restoration dreams”. We need this kind of dreams in order for our emotional condition to be normalized or to be reset. This is the natural and automatic God-given mechanism that we all have in order to assist us coping with the emotional stress that we are almost constantly exposed to. It is this mechanism that sometimes causes nightmares. We will experience nightmares and we will experience fear in these dreams. Even when we wake up after such a dream we will still experience fear. Some people think that such dreams come from Satan. This is in fact not true. These types of dreams originated in our souls because of fear, guilt and condemnation. After a robbery incident a person I know frequently had dreams of robbers breaking into his house. He frequently had dreams of criminals attacking and hurting him. It was only after he learned to trust and rest in God’s love and in His ability and His will to protect him, that this person managed to get rid of fear and also the nightmares. This is why some people, after watching a movie about the abduction of children will have nightmares that night of their children being abducted or harmed in a similar way. It was not a dream from Satan. It was a dream caused by fear. People who really trust in the unfailing love and protection of God watch the same movie without getting nightmares. Now it is a well known fact that people who get involved in the occult and in Satanism do experience things that normal people (Christians and even normal unsaved people) do not experience. These people have opened a lot of doors to the devil and to demonic activities in their lives. They are seriously exposed to things that we as Christians and even normal unsaved people are not exposed to. The bottom line is, nowhere in the Bible does it say that Satan can give people dreams and visions. Nowhere in the Bible do we see even just one reference or one incident of a person who experienced a dream or a vision given by Satan. When we look at the Scripture mentioned above we however see one fact clearly stated by Paul: Satan can transform himself into an angel of light. What it means is that he can make himself appear like an angel of light. He might even be able to appear like Jesus Christ. This verse has in fact nothing to do with dreams and nothing to do with visions. I am convinced that Satan can appear to people pretending to be an angel of light to deceive them. He can also appear to people as the devil himself to scare them. Can he appear to a Spirit filled Christian? He did in the life of Smith Wigglesworth. Smith and his wife were disturbed in their sleep one night when the devil suddenly stood at the foot end of their bed. Smith looked at him once and simply said the following words: “Oh! It’s only you“, and went back to sleep immediately. There is a possibility however that he did not really appear to Smith Wigglesworth and his wife that night. It could have been God who exposed the presence of the devil in the room to Smith for some reason, even if it was only to test or to build his faith. Through the years God has opened the spiritual eyes of many ministers by exposing the works of the devil to them. A person I know of once ministered unto a lady who was seriously depressed. When prayer and counseling did not help this sister, this person’s eyes were suddenly opened and he saw a goat standing a few feet away. The moment he saw the goat, who was actually a demon, the demon realized that he was exposed and he fled the room immediately when this person took control of the situation. This sister was immediately delivered from the spirit of depression. If you experience fear in a dream, can it be from God? I once heard the testimony of a lady who was totally trapped in seriously bad occultic activities. She once had a dream of a very ugly and devilish monster lurking and hiding in the dark in her garden. In the dream she was terrified. At one stage she was peeping through her bedroom window when she saw this huge evil creature chewing a screaming woman in its huge mouth. She could hear the woman’s bones crack while being chewed to death. She heard the last faint little scream from this woman just before this creature finally swallowed her. At exactly this point she supernaturally knew that she was in fact that woman. She was terrified during and after the dream. Now many people would say that this dream came from Satan. It however turned out that this dream was from God. It was his final warning to this woman that if she did not repent immediately from the evil and devilish activities she was involved in, the demon in the dream was going to cause her to be lost and condemned forever. It was His last warning and fortunately this woman did repent soon after this dream. Now it is possible that Spirit filled people of God who saw Satan appear to them might actually have seen Satan being exposed to them by God. I however do admit that it is possible for Satan and demons to appear to Christians. I will not deny that. Does Satan appear to unbelievers? I do not thinks so. Normally he does not want unbelievers to know that he exists but I assume that it is possible. Does he appear to Satanists and people who are busy with all sorts of witchcraft and occultism? Yes I do think so. As I said, people in this category are exposed to a lot of things because of the sin and the devilish activities that they embarked upon. The amygdala – acts as a link between a stimulus and how you react to that stimulus. It takes information from your senses and reacts in the appropriate way, i.e. if something smells bad, we feel disgust. The hippocampus – the memory teacher. The hippocampus is responsible for memory consolidation. 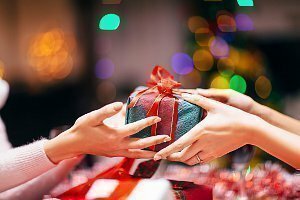 For example, the first time we touch something hot, it learns the experience and replays it repeatedly to another part of the brain called the cerebral cortex. This creates a long-term memory. The cingulate gyrus – this structure is partly responsible for your physical reactions to situations. It controls skeletal muscle movement and also recognizing which part of the body has been stimulated through touch. Scientists have identified a specific pattern of activity at the back of the brain which could then predict whether a person was having a dream. 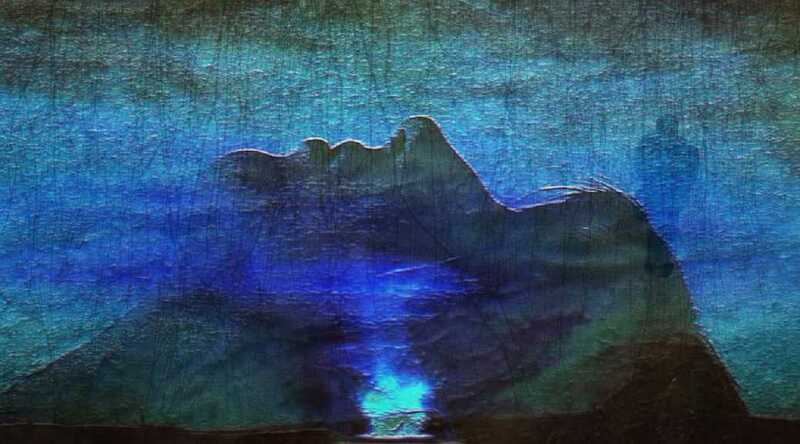 Their findings confirm that dreaming can occur both during rapid-eye movement (REM) sleep and non-REM (NREM) sleep. Researchers have traditionally associated dreaming with the high-frequency brain activity they observed during REM sleep, and which appeared similar to the kind of brain activity seen when people were awake. In contrast, low-frequency brain activity during NREM sleep was interpreted as an absence of dreams. Only God can manipulate the very complex processes in our brains in order to achieve this. In plain terms, God bypasses the normal processes deep inside our brains. He interferes those processes by divinely inserting a God created “video” into our brains and then He hits the “play” button. At that moment we “see” and “hear” a message from heaven. The same with a vision. It is very important to understand that Satan cannot do this. He always had only one weapon and only one power and that is his mouth. He uses that mouth to do two things; to lie and to tempt. He sits on people’s shoulders and he makes deceiving suggestions. He tries you to believe his lies and he tries to get you to do bad things. That is all he can do. He has no other power, authority or ability. He uses the only ability he has to cause you to sin, to doubt, to feel condemned and to fear. This may lead to nightmares and bad dreams but it does not come from him. He only indirectly causes these dreams because you allowed him to instill fear and condemnation in your life. On the other hand it is quite easy for Satan to appear to a person. He merely has to walk over from the spiritual realm into the natural realm. Although I said that it is quite easy I do need to mention that Satan is tremendously restricted in what he can do when it comes to the natural realm. God has spiritual laws in place and evil forces just cannot bypass those laws. They always need legal grounds to act. For this reason it is not just a matter of randomly appearing to a person. The bottom-line is however that Satan can appear to people. When he does appear to people he does the two things that he is very good at; he lies and he tempts. Inserting a dream into a human brain or creating a vision is something else. That requires Godly abilities. Only God is the Dream-giver and the Vision-giver. Through the years people noticed “astonishing” things and acts performed by evil spirits when in fact those acts are actually quite commonplace. What is so profound or so amazing when magicians cause people or objects floating in the air when in fact demons are holding up those people or objects in the air? What is so profound or amazing when magicians achieve this through soul power? There is nothing miraculous about these things! What is so profound or so amazing to see that demons can “read” minds when everything we think in the natural realm is in fact audibly heard by all spiritual creatures in the spiritual realm? They do not read our minds! They hear us think! In the spiritual realm this is absolutely natural. There is nothing miraculous about that! It is commonplace and simple! Causing a person to dream or creating a vision is quite a different story. Only God can do that. People who claim that they experienced a vision from Jesus Christ or a vision of an angel appearing to them, when details in that vision contradicts Scripture, have actually been misled. Firstly that was not a vision. Secondly it was not Jesus Christ or angels. It was Satan appearing to them as an angel. It is common knowledge that Jesus Christ and his angels have appeared to people many times through the ages. They still do appear to people even today and they probably will until the end of the age. The devil and his demons can do the same but as I said, this has nothing to do with dreams and visions. We never have to fear that we might be misled by Satan in a dream or a vision pretending that the dream or the vision is from God. This will never happen. He can however deceive us when he appears to us. The Bible says that he “is transformed into an angel of light”. He can therefore appear to people without them knowing that he is not Jesus Christ or an angel of light. Without them knowing that this person in front of them is the devil himself! There is no atmosphere of evil. No bells of warnings going off. Absolutely nothing to warn you except one thing only: Lies and deceit! What we do need to do is the following: Whenever Jesus Christ or an angel appear to you, always check if what they tell you conforms with the Scripture, always ask them to give you a Scripture reference to confirm that the statements they make are true and legitimate. If we follow this rule we cannot be deceived. Jesus Christ appeared to Kenneth Hagin nine times in his life and each and every time Kennith did exactly this. Every time this happened, without any exception, Jesus did give Kenneth the Scripture references that he required. We in fact never have to fear that we will be deceived when we have dreams or visions or when angels appear to us as long as we check all information with the Scripture. Now a thing was secretly brought to me, and mine ear received a little thereof. Fear came upon me, and trembling, which made all my bones to shake. I agree with Roger Barrier’s explanation of this Scripture. According to him Eliphaz, one of Job’s friends, experienced a situation where he was awakening from a deep sleep into a full blown satanic attack. I also had similar experiences in my life. I can remember on one occasion I woke up from a nightmare and then experienced an evil presence in the room. On another occasion I woke up from a deep dreamless sleep and then experienced the presence of an evil spirit next to my bed. In fact, I was woken up from my sleep by this spirit. On both occasions I was caught off guard and for a few seconds terrified, confused and paralyzed. I could not act for a few seconds. I could not call on the Name of Jesus and I could not rebuke the evil spirits in my room. At least not until I recovered. Why and how does this happen? Consciousness occurs when we are awake; we are in a sub-conscious state when we are asleep. When we go to sleep our conscious mind makes a “hand-off” to our sub-conscious. When we sleep our brains also produce chemicals to paralyze our bodies. Otherwise, we would act out our dreams. Sleep walkers have a deficiency of these chemicals, some more than others. In the situations that I mentioned above I was in a “paralyzed” state and thus couldn’t move or speak until the transition of control was returned to my conscious mind. I was hindered from calling out the Name of Jesus until the transition was complete and then I was back in control of my voice and able to call out for Jesus. Eliphaz’s experience with the evil spirit occurred in that transition moment from “paralyzed” subconscious sleep to wakeful consciousness. It might have been preceded by a nightmare or a dream that made him restless but his experience was an outright demonic attack. There is no doubt that Eliphaz awakened terrified and afraid in the midst of this full-blown satanic attack. I do not believe that Satan can enter, influence or control our subconscious minds. His attacks are limited to the times when we are fully awake and can defend ourselves. It is possible for Satan to grab a “foot hold” in our lives. Paul tells us that this may occur if we continue to sin again and again in the same area. Control of that particular area is up for grabs and if Satan gains control we must repent of our sin and pray for Satan to depart. When the sin is forgiven Satan no longer has a foothold (James 4:7). Sometimes Satan uses these footholds to get to us. As I mentioned already, it is these footholds (sin, doubt, guilt, condemnation) that cause nightmares. He indirectly causes us to dream and he is sometimes ready to follow such a dream up with a full-blown demonic attack just when we are at our weakest, those few seconds whilst we are waking up. He does this in order to create fear in our lives and to influence us just as God instills faith in our lives. It was during these few seconds that Eliphaz was influenced by the evil spirit that passed before his eyes. He could see this evil spirit and he could hear this spirit. I did not mention how the evil spirit in my room woke me up that night that I mentioned above. Although it was totally quiet in my room, in the spirit world this demon was screaming at me at the top of his voice whilst stamping his feet quite hard on the floor in order to attract my attention. My wife who was sleeping next to me was totally unaware of this. She did not hear a sound. I did. Eliphaz was experiencing a demonic attack just like I did. This was not a dream or a vision that he experienced but a visitation from an evil spirit in person. For the idols have spoken vanity, and the diviners have seen a lie, and have told false dreams; they comfort in vain: therefore they went their way as a flock, they were troubled, because there was no shepherd. Unfortunately this warning is still applicable. Many people deceive many people in the church and elsewhere, on a daily basis, and it will never stop. And Jesus answered and said to them, “See to it that no one misleads you”. For such men are false apostles, deceitful workers, disguising themselves as apostles of Christ. No wonder, for even Satan disguises himself as an angel of light. Therefore it is not surprising if his servants also disguise themselves as servants of righteousness, whose end will be according to their deeds. People do interpret their dreams, visions and experiences incorrectly. People just lie outright about their experiences. Some never saw a vision in their lives yet they zealously testify of what God showed them in a particular vision. People add to and subtract details about their visions or the dreams they had. People have false experiences, especially satanists because of living in a world filled with all sorts of evil deceptions. Some people think Satan or demons are infiltrating their minds during nightmares, but there is no passage in the Bible to substantiate this. There are no biblical incidents of demonic forces communicating with people during dreams or nightmares. Nightmares are nothing more than the brain’s way of contending with our fears and concerns as it continues to function during sleep cycles. 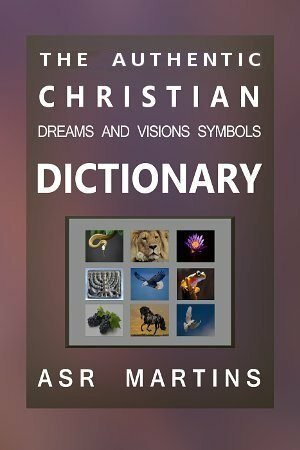 If a Christian experiences continual, frequent nightmares that are interrupting sleep and causing emotional disturbance on a regular basis they need to deal with their fears. They need to allow God to built up their faith so that they can rest in his love. Prayer is our most potent weapon against any kind of emotional or spiritual distress. Praying for fifteen or twenty minutes prior to sleep is the most effective way to calm the mind and heart and prepare for restful sleep. God grants wisdom to those who seek it from Him (James 1:5), and He has also promised His peace to all who seek it. “Do not be anxious about anything, but in everything, by prayer and petition, with thanksgiving, present your requests to God. And the peace of God, which transcends all understanding, will guard your hearts and your minds in Christ Jesus”. The Day a Shoemaker Moved a Mountain! The Church Like Five Shooting Stars! 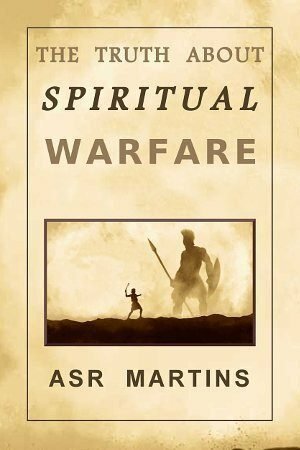 Spiritual Warfare Definitely Not Star Wars! Wrong Choices; Heaven Or Hell? Spiritual Purification Caused By Storm? Southern Baptists Change Policy on Speaking in Tongues!! The Word of God Like a Shotgun! The Good News About Marriage! The Four Marriage Fades You Need to Stop!! How To Use The Armor of God!! New Challenges For the Christian Church in South Africa! Reigning As Sons Of God!! Reformation In The USA, Setting The Pace? The Revelation Of The Sons Of God!! Stand Up and Be Counted!! A New Sound Is Coming Forth!! False Teachings Wrecked My Car! 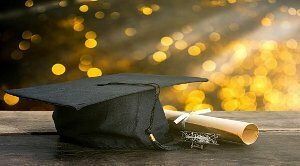 Could You Connect Your Dream?